Dr. Thomas S. Eagan is a native of Gloversville. He received his medical degree from Albany Medical College, and continued his orthopaedic training at Dartmouth Medical College in New Hampshire. Dr. Eagan received specialized training in children's orthopaedics at Newington Children's Hospital in Connecticut. Dr. Eagan is Board Certified in Orthopaedic Surgery; as such, he is a Diplomate of the American Board of Orthopaedic Surgery. He was elected a Fellow of the American Academy of Orthopaedic Surgeons, and served as Chief of Surgery at Nathan Littauer Hospital. He has been president of the Fulton County Medical Society. 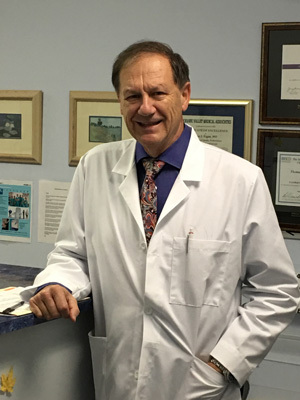 He keeps in touch with advances in the field of orthopaedic surgery through his active participation in many respected medical societies, such as the American Medical Association, the American Academy of Orthopaedic Surgeons, and the New York State Medical Society.